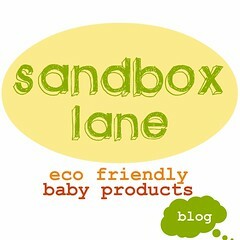 Sandbox Lane was launched in 2011 just a few months after our first baby was born. We wanted to create a store that sold eco-friendly products at affordable prices because we could never find a store that had everything we wanted for her all at one place. When we choose products, we decided we'd only sell products we can stand behind and would suggest to our friends and family. We also wanted to make sure it would carry a big enough selection for others as well. We are always updating our inventory and wanting feedback what others want to see. Our goal is spread the word bringing eco-friendly products into a child's world can make a lasting effect on their life to come. Our team is created of a menagerie of creative and green-minded people who want to make a difference. Our office is in beautiful Southern California. In our spare time, you'll find our team cycling, running, gardening, playing with our kids, and finding excuses to soak up the sun!